David L. Brown, co-producer, writer and director of SURFING FOR LIFE, is an award-winning San Francisco documentary filmmaker who--over a 32-year career-- has produced, written and directed over 60 productions and eight broadcast documentaries on social, nuclear, health and environmental issues. His documentaries have received over 70 international awards and have been broadcast on PBS and in 16 countries. SURFING FOR LIFE has received 15 international awards, including Best Documentary and the Audience Award at the Hawai'i International Film Festival, Best Documentary at the Malibu International Film Festival, Best Documentary at the Santa Cruz Film Festival, and the Audience Award at the Big Bear International Film Festival. His recent work includes BOUND BY THE WIND, a moving documentary on the global legacy of nuclear weapons testing and the plight of the world's "downwinders" which has won 20 international awards including a CINE Golden Eagle, a Blue Ribbon at the American Film and Video Festival, and a Golden Gate Award for Best Environmental Documentary at the San Francisco International Film Festival. It has been broadcast on PBS, in Canada (CBC), Japan (NHK), France (Canal+), Spain, and several other countries. Other recent productions includes: COMPUTER CLASSES (narrated by singer/actor Queen Latifah) and CROSSING THE DIVIDE, two 56-minute PBS documentaries on teens and digital technology, episodes in the "Digital Divide" series which aired on over 150 PBS stations and in Canada, Japan and the Netherlands; A QUESTION OF POWER, a 58-minute documentary narrated by Peter Coyote addressing the nuclear power controversy which received 16 awards including a Blue Ribbon at the American Film and Video Festival and was broadcast twice on public television; MAKE YOURSELF A PROMISE: EARTHQUAKE PREPAREDNESS FOR YOURSELF AND YOUR COMMUNITY, a 28-minute video produced in ten languages which received several awards including a CINE Golden Eagle; and FREE ZONE, a 58-minute documentary on the international nuclear free zone movement which received 13 awards and was broadcast on public television and in several countries. Brown works in the film and television industry as a freelance producer, director, editor, cameraman, assistant director and production manager. He has produced several films on the elderly and his recent credits include work as producer/ director or cameraman for Greenpeace USA, The World Bank and dozens of non-profits as well as the BBC, NBC and CBS News. He teaches Documentary Filmmaking at the City College of San Francisco and is producing a full documentary on the life of Woody Brown entitled OF WIND AND WAVES: THE LIFE OF WOODY BROWN. More information on David L. Brown's work can be found at www.DLBfilms.com. Roy Earnest, M.S.W., co-producer of SURFING FOR LIFE, has been a dedicated gerontological social worker for 23 years and an avid surfer for 34 years. Currently Director of Family Service Agency of San Francisco's Foster Grandparents and Senior Companion Program, he is past President of the Coalition of Agencies Serving the Elderly, past President of California Specialists on Aging and former Director of Catholic Charities' Aging Services in San Francisco. One of the co-founders of the Pedro Point Surf Club in Pacifica, he is the club's Surfari Coordinator for club-sponsored surf trips. In 1994, he was developing a series of consciousness-raising workshops on the human potential of later life when he met David L. Brown at the premiere of BOUND BY THE WIND and decided to collaborate on the production of SURFING FOR LIFE. 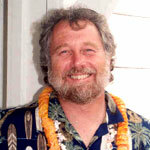 Roy assembled the Gerontology Advisory Board and supervised the writing and production of the SURFING FOR LIFE Discussion Guide. This is his debut as a filmmaker. Shirley Thompson, the editor of SURFING FOR LIFE is an Emmy-Award winning editor and AVID Certified Instructor who was born in New Orleans and recently relocated from San Francisco to Dallas. Over a twenty year career, she has edited for many television stations and many independent production companies. The documentaries she has edited have been awarded Emmy awards, Best of Festival Awards, Cine Golden Eagles, and the DuPont Columbia Award for Journalism. They have screened at film festivals worldwide. In addition to SURFING FOR LIFE, her documentary credits include TANGLED ROOTS, SAN FRANCISCO AT THE MOVIES: THE SILENT ERA, YIELD TO TOTAL ELATION: THE LIFE AND ART OF A. G. RIZZOLI, JAZZ TOUR SAN FRANCISCO, SAN FRANCISCO IN THE 20's, IT'S ELEMENTARY and SCHOOL COLORS. In 1992, she produced and directed her own documentary, YOUNG ASPIRATIONS/ YOUNG ARTISTS, about an afterschool design studio for talented urban youth in New Orleans, which received an Emmy Award among several awards. Her web site is http://shirleythompson.org. 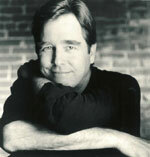 Beau Bridges, narrator of SURFING FOR LIFE, is an Emmy Award-winning actor who has portrayed a myriad of characters during his successful career spanning more than three decades. Part of a preeminent Hollywood acting dynasty, he started at a young age and has worked virtually non-stop in his profession ever since. Bridges' recent credits include: the CIA Director in the top-rated CBS drama "THE AGENCY;" a high-ranking Nazi officer in Showtime's "THE GISELLA PERL STORY;" and an Emmy-nominated role as Michael Mulvaney in the Lifetime original movie "WE WERE THE MULVANEYS." In September 1999, Bridges received an Emmy nomination for his performance in the A&E original production "P.T. BARNUM" in which he starred as Phineas T. Barnum, the legendary showman. Also in 1999, Bridges again received an Emmy nomination for his work in Showtime's production of the classic film "INHERIT THE WIND," opposite Jack Lemmon and George C. Scott. In 1997, Bridges received his third Emmy Award for his performance in HBO's black comedy "THE SECOND CIVIL WAR." In 1996, he starred as Richard Nixon in TNT's "KISSINGER & NIXON" for which he received an Emmy nomination. Throughout his career, Bridges has demonstrated enviable range. He played an athletic coach in Sidney Lumet's "CHILD'S PLAY," the boyfriend of an ill-fated skiing champion in "THE OTHER SIDE OF THE MOUNTAIN," Richard Pryor's buddy in "GREASED LIGHTNING," and Sally Field's husband in the powerful "NORMA RAE." His film work also includes the independent features "SORDID LIVES," "MEETING DADDY" with Lloyd Bridges, John Schlesinger's "HONKY-TONK FREEWAY," Delbert Mann's "NIGHT CROSSING," Jonathan Kaplan's "HEART LIKE A WHEEL," Arthur Hill's "MARRIED TO IT," and "THE FABULOUS BAKER BOYS," for which he was named Best Supporting Actor by the National Society of Film Critics in 1989. Bridges has appeared in more than 80 television shows, ranging from "THE FUGITIVE" with David Janssen to "SEA HUNT" with his father, Lloyd Bridges. He and his brother, Jeff, are both life-long surfers. Tom Disher is the Emmy Award-winning composer of the original music in SURFING FOR LIFE. He won an Emmy for his music in the PBS Documentary JOHN WOODEN: VICTORY, VALUES, AND PEACE OF MIND, as well as Emmy nominations for the six-part PBS series DIGITAL DIVIDE, and the documentary SIN, FIRE, & GOLD. Since founding Disher Music and Sound in 1993, he has composed the soundtracks for hundred of documentaries, commercials, features and multimedia. He won "Best Music" at the International Wildlife Film Festival for the score for HERE BE DRAGONS and has composed for Outdoor Life Network (GRAND CANYON WILDERNESS), MSNBC (MIRACLE BABIES) and a wealth of independent features and documentaries. They include: LONELY ISLAND, HIDDEN ALCATRAZ; HEART OF THE GAME; NO TURNING BACK; DIGITAL WEST; NOT ONCE BUT TWICE; SEIZING ME; and DEATH OF A SHAMAN. His clients for theatrical trailer composition include Miramax Films and Artisan Pictures. Tom loves to compose in a great variety of musical styles, a love that he amply demonstrates in the richly diverse score for SURFING FOR LIFE. Schooled in classical piano and jazz arranging, then seasoned by several years on the road touring with various bands, Tom self-produced his first recording in 1979. He has been an audio post engineer for over a decade and still enjoys the challenge of sound design and mixing. You can hear his work at www.dishermusic.com. 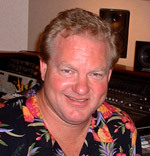 Paul Zahnley, sound designer and re-recording mixer for Surfing for Life, received an Emmy Award nomination (along with Ross Wilson) for the sound design on SURFING FOR LIFE. With a Masters degree in documentary film, Paul has worked in all aspects of filmmaking: shooting, editing, location sound and audio post. A Pro Tools user since its inception a decade ago, Paul is a respected creative technician who seamlessly integrates all the elements of a project's sound track for maximum emotional impact. His credit on SURFING FOR LIFE (and over thirty others including DEMON OF THE DERBY, CELEBRITY OF THE CITY, TANGLED ROOTS and ALCATRAZ) enabled him to become a full member of the prestigious Cinema Audio Society. 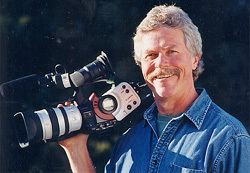 He and Ross Wilson also received an Emmy nomination for THE DIGITAL DIVIDE, a six-part PBS series for which David L. Brown was one of the producer/ directors. Ross Wilson, sound designer and musician on the SURFING FOR LIFE soundtrack, is a multi-talented musician, audio engineer and sound designer. For over a decade, he worked in radio as an engineer, producer, voice talent, copywriter and creative/ production director. An incredibly versatile musician, he has played both trumpet and trombone with dozens of bands--funk, salsa, rock and pop--over 20 years, and played all the horn parts on the SURFING FOR LIFE score. His music mixing credits range from Sammy Hagar to Tito Puente and Con Funk Shun. He recently produced the comeback album for the legendary Salsa musician, Benny Velarde. His sound designer credits include SIN, FIRE & GOLD and ALCATRAZ. Tom Disher calls him "one of the best music editors you'll ever hear." He shared Emmy nominations with Paul Zahnley for the sound design in SURFING FOR LIFE and THE DIGITAL DIVIDE. aol.com. His mailing address is 274 Santa Clara St., Brisbane, CA 94005. Phone: (415)468-7469. Roy Earnest can be contacted by email at agewaver@earthlink.net. His mailing address is 690 Alta Vista Drive, Pacific, CA 94044. Phone: (650)359-7782.